How many products do you try in a week? Five? Ten? Fifty? I try tons ... we're talking in the 75-100 range -- and while I love a lot of them, some definitely fall by the wayside. But you know those products that you try and just fall head-over-heels for immediately? The ones that make your heart race, your breath quicken, your pulse speed up. To that end, I've decided to create a new feature on The Beauty of Life -- Lusts of the Week. Each week I'll be bringing you a few products that are so fabulously fantastic, I just have no idea how I ever lived without them. Without further adieu, here are this week's lusts and musts! Anastasia Brow Gel ($21 at sephora.com): Straggly, scraggly brows are a thing of the past when this gel is on the case. A few simple swipes and my brows don't move all day long. The clear formula really holds each and every hair in place, all without flaking or clumping. 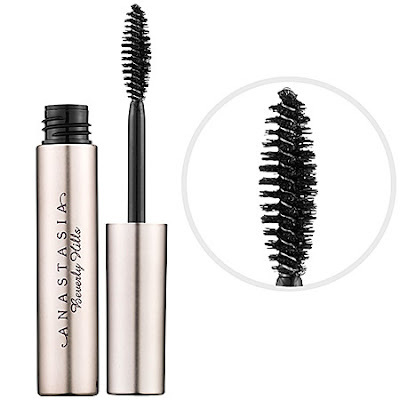 It even contains conditioners to keep your brows soft and silky! I don't know how I ever lived without it. Jonathan Pocket Redo Freshen-up Wipes for Hair & Skin: The hotness and stickiness of summer is here to stay, fellow beauty chicks. What better way to combat the insufferable heat and humidity than with towelettes designed to keep you cool and fresh? These 100 percent vegan wipes are formulated with cucumber/rose essential water, vegetable enzyme and natural botanical extracts to refresh, cleanse, moisturize and neutralize odors. While they can be used on hair, I like to run one across my face after walking around the city. It just gives me that extra little oomph I need to keep going! 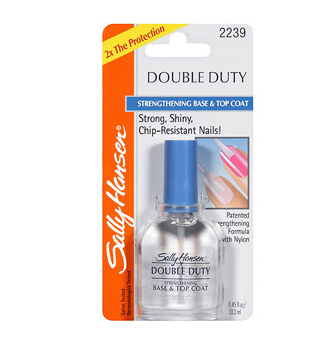 Sally Hansen Double Duty Strengthening Base & Top Coat ($4.89 at walmart.com): Vitamin B nourishes the nails. Nylon protects them. All I care about is the fact that it's been two weeks since my last pedicure and my nails still look good as new! No chipping, no breaking and the color still looks absolutely fantastic. How can you go wrong? Jaqua Pina Colada Shower Syrup: I find it difficult to pick a favorite shower gel. At last count, I had about 10 of them clogging up my shower caddy and in-shower shelving! But this one seems to have somehow made its way into my weekly rotation, even going so far as to show up two or three times! I love the sweet scent of pineapple and coconut that wafts out of the bottle and onto my skin -- and the fact that it's formulated with both ginseng and tons of vitamins just keeps me coming back for more. Okay...just for the sheer fact tht it's called Jaqua Pina Colada Shower Syrup, makes me want to buy it. It sounds so yummy! Thanks Jennifer! Seriously, you have to try it. It's amazing! !